The emergence of nonprofits as the leading conduit for anonymous spending in this year’s presidential campaign is often attributed to the Supreme Court’s 2010 Citizens United ruling, which opened the money spigot, allowing corporations and unions to buy ads urging people to vote for or against specific candidates. But a closer look shows that there are several reasons that tens of millions of dollars of secret money are flooding this year’s campaign. 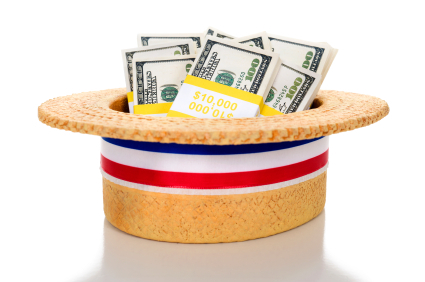 Actions — and inaction — by both the Federal Election Commission and the Internal Revenue Service have contributed just as much to the flood of tens of millions of dollars of secret money into the 2012 campaign. Congress did not act on a bill that would have required disclosure after Citizens United and other court rulings opened the door to secret political spending. To understand how all this happened, it’s worth returning to Justice Anthony Kennedy’s opinion in Citizens United, and the political system the court envisioned. In the decision’s key finding, Kennedy and four other justices said the First Amendment entitled corporations and unions to the same unlimited rights of political speech and spending as any citizen. But in a less-noticed portion of the ruling, Kennedy and seven of his colleagues upheld disclosure rules and emphasized the role of transparency. Undue corporate or union influence on elections, he wrote, could be addressed by informed voters and shareholders who would instantly access campaign finance facts from their laptops or smart phones. A very different system has taken shape. As our reporting this week showed, money for political ads is pouring into non-profits ostensibly dedicated to promoting social welfare. These groups are paying for many of the negative ads clogging the airwaves, but are not disclosing their donors. As a result, it’s entirely unclear whether these ads are being paid for by unions and corporations empowered by Citizens United or by wealthy individuals. Separately, corporations have resisted calls to list their donations to political social welfare nonprofits or other political spending. So far, the Securities and Exchange Commission has not responded to a rulemaking petition asking for it to develop rules to require public companies to disclose that spending. The flood began and the identities of hardly any of the donors were disclosed. The reason? A decision by the FEC, the oversight panel with three Republicans and three Democrats who frequently deadlock. After Wisconsin Right to Life, the FEC told social welfare nonprofits that they had to disclose only if the donors specifically earmarked the money for political ads. “It proved to be the exception that swallowed the rule,” said Paul S. Ryan, general counsel of the Campaign Legal Center, a nonprofit, non-partisan group that tracks campaign finance. The day the FEC adopted this rule, Ryan wrote on his blog that it would allow massive amounts of secret money into politics. He proved correct. In 2006, ads bought by groups that didn’t disclose their donors amounted to less than 2 percent of outside spending, excluding party committees, research by the Center for Responsive Politics shows. By 2008, that number hit 25 percent; by 2010, more than 40 percent. All of this raises an intriguing question: Was Kennedy aware when he drafted the January 2010 Citizens United opinion that nonprofits were being widely used to avoid public disclosure of political spending? At the least, critics say, Kennedy was poorly informed. Instead, this is the disclosure world that exists: Someone who gives up to $2,500 to the campaign of President Barack Obama or challenger Mitt Romney will have his or her name, address and profession listed on the FEC website for all to see. But that same person can give $1 million or more to a social welfare group that buys ads supporting or attacking those same candidates and stay anonymous. This year, a federal judge struck down the FEC rule stemming from Wisconsin Right to Life. The FEC announced in July that major donors to electioneering communications — ads that focus on issues without directly advocating for candidates — would have to be named. Already, groups are looking for work-arounds. They’re running different kinds of ads. Some will name other social welfare nonprofits as their donors. The IRS or Congress are more plausible avenues for change, experts say. Ryan said he was hopeful that Congress and the IRS might some day limit ads from groups that don’t disclose their donors. The 2012 campaign, though, appears to be a lost cause. “I think this election will be mired and perhaps overwhelmed by secret money,” Ryan said.